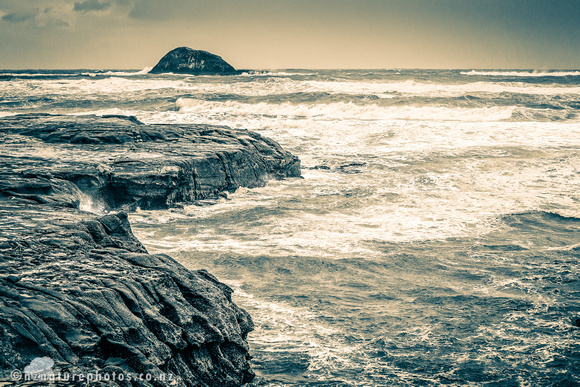 This is a split-tone version of the surf at Muriwai. The wind and sea spray prevented me from getting any good long exposure shots. This is taken a 1/1000 sec using an 85mm lens.